It’s no secret that eCommerce is core to B2B strategy. From increasing revenue to improving customer satisfaction and loyalty, companies see the opportunity to achieve more growth through digital channels. 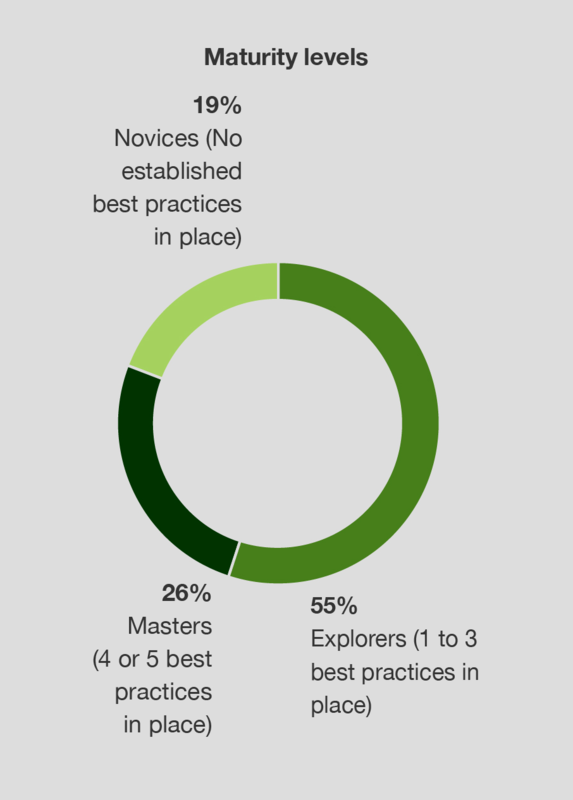 So why have just 26% of B2B companies fully implemented best practices? Today we’re unveiling new research, called “What It Takes to Be a Leader in B2B eCommerce,” with the main objective of answering that question – and providing practical steps you can to take to elevate your operations from good to great. Our commissioned study conducted by Forrester Consulting leaves no question that digital channels are critical to creating B2B commerce experiences that generate higher customer satisfaction, enhance competitive positioning, and increase revenue growth. It also provides a framework for how to assess your digital capabilities and guidance on how to build and maintain best practices to streamline purchasing, enhance merchandising, and empower buyers with self-service capabilities. B2B companies lean heavily on eCommerce to drive customer satisfaction, revenue growth, and productivity goals. Nearly half of participants say B2B eCommerce efforts specifically help them win, serve, and retain customers. Almost 80% of “digitally-mature” companies surveyed report that their current set of B2B eCommerce technologies have been “very” or “extremely helpful” in improving their overall customer satisfaction and revenue. Leaders look for reliable, flexible, and complete technology solutions, but struggle to maximize those investments. High performance, reliability, solution completeness, and the ability to support both B2B and B2C requirements are top criteria when selecting B2B eCommerce technology options. However, more than half of participants faced challenges in finding partners to integrate solutions within their existing technology infrastructure. Organizational and leadership maturity of commerce correlates directly with increased customer satisfaction and retention. Only 26% of surveyed companies have fully matured their B2B eCommerce operations, meaning they’ve established four or all five organizational best practices measured in the study. These best practices range from having a dedicated eCommerce team to achieving cross-functional alignment on the company's eCommerce strategy. Companies with the most mature leadership and resources are more likely to streamline the path to purchase, increasing customer satisfaction and retention, improving their competitive advantage, and ultimately driving revenue. Magento Commerce Cloud, now a part of Adobe Experience Cloud, is committed to enabling B2C and B2B companies to achieve their digital business aspirations. Our open platform, supported by a global ecosystem, gives businesses the flexibility and scalability to create exceptional experiences with cloud-based eCommerce, order management, and business intelligence capabilities. We provide practical B2B insights and strategies to enable merchants to execute initiatives across their organization. Providing this new research is the latest example of how we help businesses to elevate their operations and become leaders in B2B commerce.